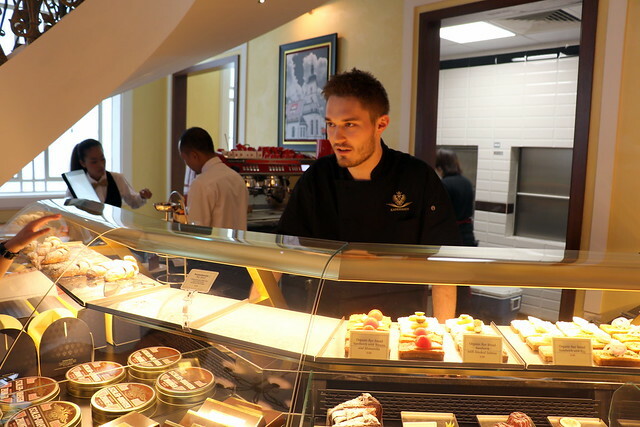 Executive Pastry Chef, Patrick Schilling, 24, prepares up to 30 different kinds of pastries a day. He was handpicked to lead Kaiserhaus in Singapore. 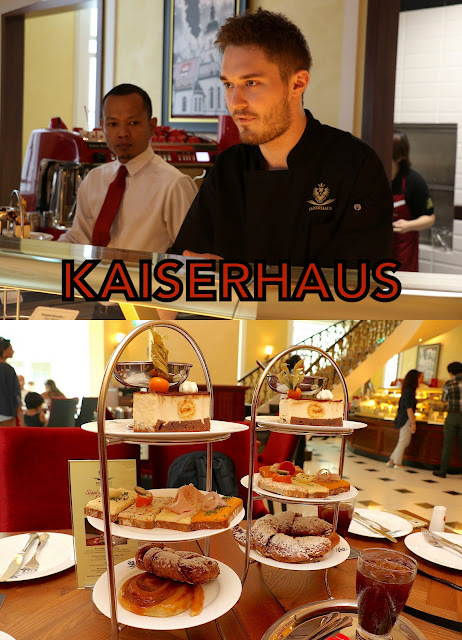 I had at first thought Kaiserhaus might be German, but it's more Austrian and pays homage to cuisine from the Habsburg rule which stretched across from Hungary, Northern Italy, to parts of Romania, Serbia, Slovenia, Ukraine. There have been four Kaisers of the Austrian Empire, and they all came from the Habsburg dynasty. I should like to come back and explore the savoury items and main courses. They have signatures like the Tafelspitz - gourmet beef simmered for hours with marrow and mixed vegetables in a copper pot - favoured by Franz Josef I, former Emperor of Austria. There is also Ćevapčići (pronounced: Che-Vap-Chee-Chee) – spicy grilled skinless beef sausages, served with homemade Rösti and Ajvar, a type of relish made primarily from red bell peppers. Another Chef’s recommendation is the crispy Bohemian Pork Roast with natural jus, Gabelkraut, a slightly sweeter variation of Sauerkraut and Semmelknödel (bread dumplings). The restaurant, café and bar covers two storeys with a dramatic wrought iron staircase with ornate spindles or balusters brought in from Austria. 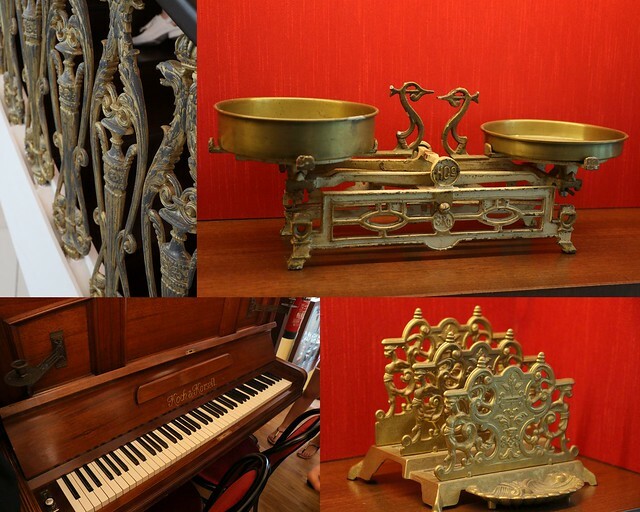 It's spacious and contemporary but you'll see touches of Austrian vintage charm in terms of an old piano, old maps, artwork and little bronze artefacts. 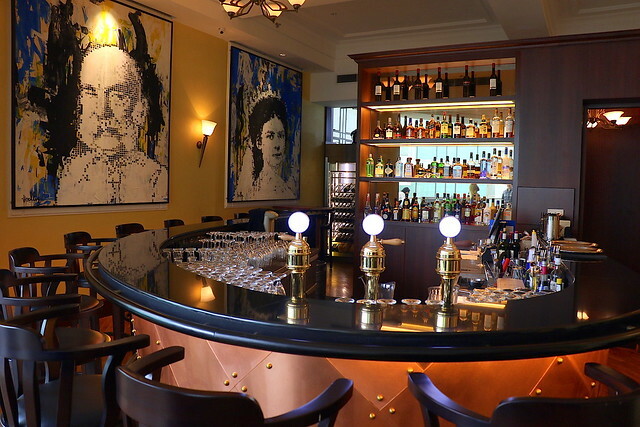 Upstairs you'll find the bar with exclusive Austrian Hirter beers on tap and wines. This part opens directly to the Capitol theatre, so you can have a bite or refreshments conveniently before a performance or during intermission. 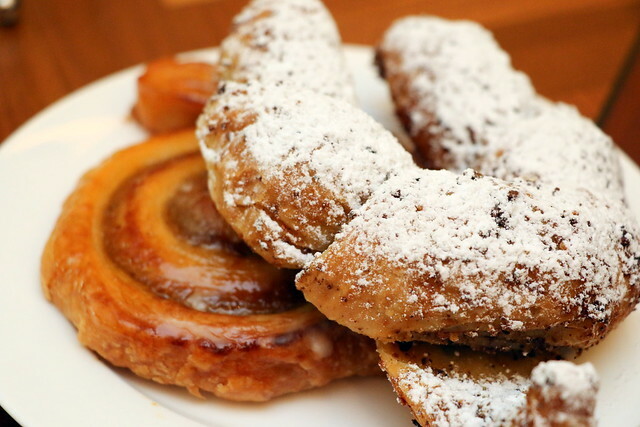 Kaiserhaus also brings in pastries from Zauner, a renowned Austrian pâtisserie established in 1832 and that is still known for some of the finest selection of sweet delicacies in Europe. 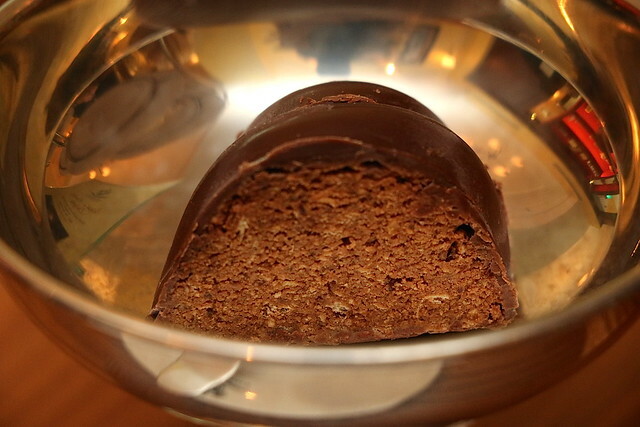 Zauner desserts are exclusive to Kaiserhaus. Whoa! #Raspberry #Truffle #Cake at @kaiserhaus (@capitolpiazza) - rich #chocolate #cake with layers of Paris #creme and topped with #raspberries. 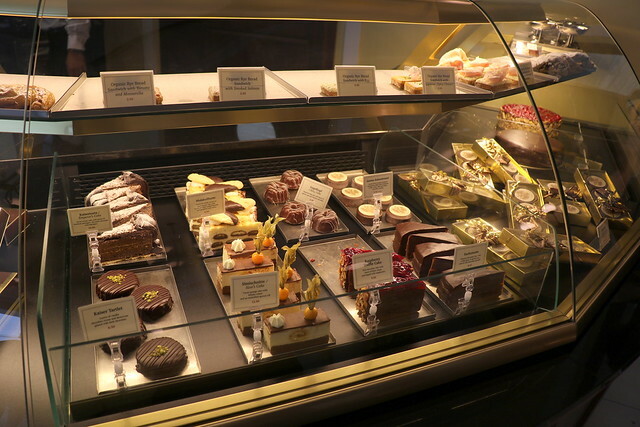 S$58 for whole cake; S$9.50 per slice. Some of the cakes look really good! However, I tried taking some home but they were so fragile, they collapsed by the time I got home. So lesson learned: eat them there, don't wait! 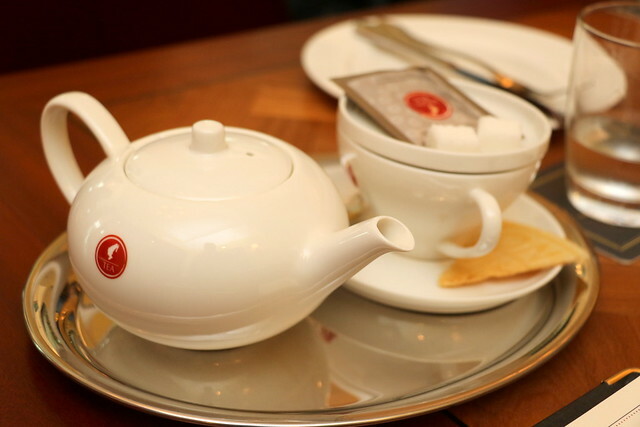 The high tea set is very good value at S$28++ for two persons. 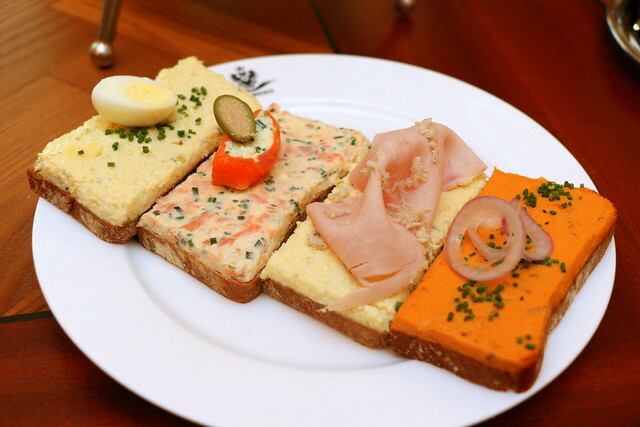 The Sissischnitte cake is light (but has a good dose of whisky in it) while the sandwiches are very dense and filling. 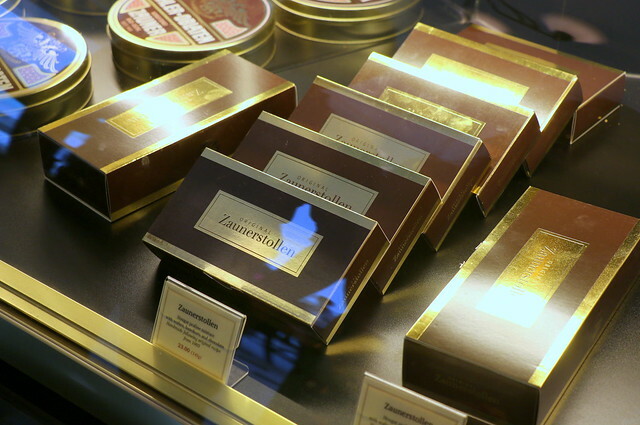 I love anything with hazelnut praline and wafers but I still think the Zaunerstollen would have been more amazing when freshly made.